Thank you, Mark and Kevin, for a very interesting episode this week. 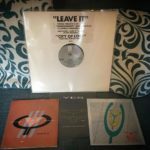 Much as I enjoyed both segments, the big news element of the ‘twopence’ made this the most essential listening this week and for what they are worth, here are a few observations around the ARW news. Firstly I very much shared Kevin’s puzzlement over the ARW website being so out of date. Even though the Stone Free and other UK dates have been know for some time and tickets on sale it seemed strange that there was nothing about them on the website. Now the website has thankfully been updated and much improved – it could hardly have gone any other way really! By that I am referring to the out of date information and frankly amateurish presentation. As an example, the constant all pervading use of capitals for text reminded me of how I would point this error out to primary school pupils using early word processing programs almost 20 years ago! So, we now have much improved content and presentation and as ever the sort of news that will give rise to plenty of speculation to be proved right or wrong in the months ahead. I very much look forward to the live release and it is not hard to envisage what this will be like, given that the visuals at least are to be taken from the Manchester show last year. Whilst I am intrigued as to the nature of OE audio I will not speculate on that myself. 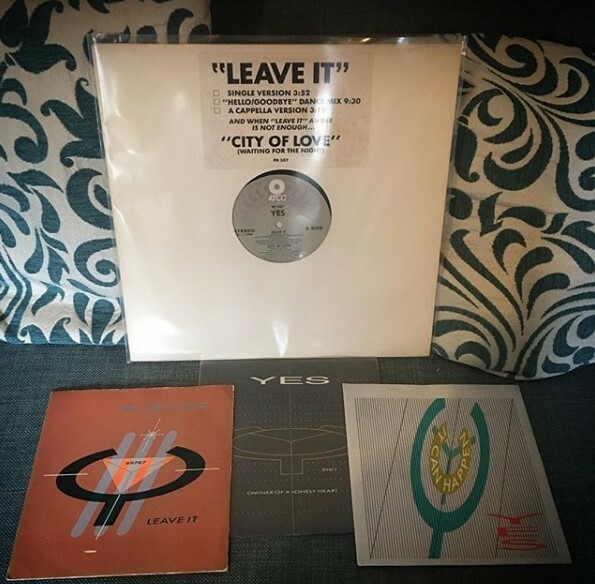 The Warner retrospective to be curated by Jon Anderson certainly surprised me at first, but less so once I thought back over previous compilations and anniversary releases, as well as the record companies that Yes has been associated with over the years. I do not agree that this release will only include music recorded on the Warner labels (Atlantic/Atco) as both the In a Word compilation and the 35th Anniversary Selection, which were released on Rhino (Warner), did include tracks from ABWH, Union, Keys to Ascension, Talk, and the Eagle albums (Open Your Eyes to Magnification) licensed from other companies. 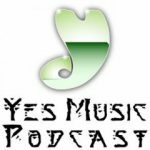 Warner are the company most associated with Yes and certainly from the period when they achieved the most sales, so it makes sense that they produce the forthcoming compilation. There is also a logic to having Jon Anderson as a founder member curate it, but what is interesting to speculate upon is how this squares with Yes as it is now. I am almost certain that it will not include any music recorded for Frontiers and featuring Benoit or Jon D, yet it will be difficult for JA to veto anything from Drama, given that it was a Warner record and a crucial part of the Yes history within the total span of Jon Anderson’s involvement. So are we going to have a 50th anniversary release that does not include anything from beyond the period that was covered on the 35th anniversary set? Quite likely I would say, unless as a total wild card we get one of the performances from the Rock and Roll Hall of Fame induction! After all Yes have just performed 50th anniversary concerts in Europe with a setlist covering only about 10 years, although I have no doubt that this will change for the US tour, given that in Europe the band were committed to including the Topographic tracks. If they call the 50th anniversary set “Quintessential Yes”, which implies a qualitative judgement, and that JA curated selection excludes anything from Fly From Here or Heaven and Earth, the Yes politics will certainly be as interesting as ever! One further interesting point I think, is that although the recent studio albums and the Lyon and then Like it Is live recordings were on independent Frontiers, Topographic Drama was released by Rhino! So the relationship between these companies and even who the current label is for Yes is far from clear! Did Rhino release Topographic Drama because all of the original music was recorded for Warner, because even that logic is defeated when it is considered that Frontiers also released live recordings that exclusively included tracks and indeed whole albums originally recorded for Warner/Atlantic! Perhaps Warner/Rhino have an expected sales threshold that must be met before they will be involved? The nature of the promised ARW studio release is obviously far from clear and the goal posts seem to move constantly. I wonder if the suggestion it will be an EP stems from JA’s previously expressed view that albums are outmoded and his interest is in online or multimedia releases, although he has released at least one solo cd since making these statements, as well as the APB and Roine Stolt collaboration and now perhaps his forthcoming ‘1,000 Hands’ release. So what does all this tell us about Yes? Well, I guess that they are unpredictable and totally intriguing which is one of the things that makes them so wonderful and long may it continue! Tim well said and put together. I think the last words say it all, don’t we love all this hanging history, as a Yes fan you really have no idea what could happen next. Well done again chaps. Mark you must listen to Agadoo ok, just listen!!! Pleased you didn’t sing the top 100 but good fun all the same. Excellent show gentlemen. Re the ARW studio album or EP, I’ve been told the release date being pushed back to late ’18 or to ’19 is not due to any problems or delays with the songwriting or recording, but the marketing plan. 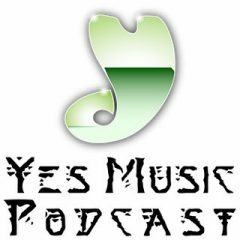 With the concert dvd/cd coming out, and the Yes 50 set, this year, they don’t want to glut the market with too many products. It’s all about scheduling, spacing. 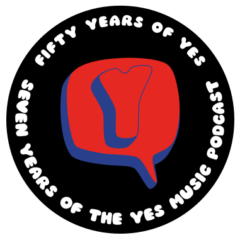 Mention of the Yes 50 set, currently slated as a 2cd, does make me wonder how satisfying this can be if it has to cover 50 years across two discs! After all, the 35th anniversary release had to be expanded to 3 discs (and in U.S. only I think) to include any sort of bonus or unreleased tracks to make it appeal to the widest range of Yes followers. Thank you whoever said the kind words. Please do let us all know who you are. There is a future show for you and Mark ….OoaLH the unofficial remixes.